Yamaha's CP88 digital stage piano has been reinvented inside and out for working keyboard players with the very best Voices Yamaha has to offer plus a completely reimagined user interface. And with the Balanced Hammer action of the CP88 this makes it ideal for playing all types of Voices and sound combinations throughout a long gig without fatigue. Additional strengths of the CP88 include Soundmondo compatibility for sharing and discovering more free sounds, the Natural Wood, triple sensor action for piano purists as well as Synthetic Ebony and Ivory key tops to increase finger grip; Seamless Sound Switching to ensure that sustained notes will continue to ring out even as a new Live Set is selected, and an internal Flash memory - making the CP88 expandable as Yamaha will add sought-after acoustic and electric piano Voices (as well as other sounds) in planned OS updates. The CP series features three main sections that can quickly be split or combined as desired: Piano, Electric Piano, and Sub. With Voices sampled from two of the finest concert grand pianos in the world — the Yamaha CFX and Bösendorfer Imperial — plus a Yamaha U1 upright and the vaunted CP80 electric grand, the Piano section lets the player shine in any musical style. Selectable damper resonance adds even more realism to piano Voices for solo passages. The Electric Piano section is a map of soulful musical roads, rendering three 1970s models of the classic tine piano and ranging from delicate sparkle to its attitude. Brighter and darker variants on the Wurly, as well as Clav sounds, cover all the vintage-keys bases. Stompbox-style effects such as touch wah, phaser, and more perfectly capture musical memories from Motown to prog to fusion to yacht rock. 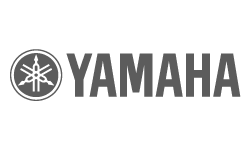 Building on Yamaha's decades of experience in the production of stage pianos, they have meticulously adjusted the sound of each individual key and realized ideal balance over the full length of the keyboard, creating full-bodied piano tones needed for solo performances and authentically rich sounds well suited for playing within an ensemble. Furthermore, by analyzing and replicating the sound-producing mechanisms of classic electric pianos using cutting-edge technologies, they have been able to achieve an extremely smooth response in the CP88 keyboard. CP series employ a keyboard with a weighted hammer-action design that is virtually indistinguishable from an acoustic piano. The CP88’s NW-GH (Natural Wood Graded Hammer keyboard with synthetic ebony and ivory keytops) keyboard reproduce a touch of grand piano by giving all keys an authentic resistance that increases from the top register to the lower. Featuring a stylish, finely crafted aluminum exterior in a light, compact package, the CP88 projects an exceptionally professional appearance and provide convenient portability onstage. The three Voice sections—Piano, E.Piano and Sub—are indicated clearly on the top panel, giving you all the controllers you need onstage, allowing you to directly adjust each parameter as you need while you play. The LED indicator lamps show you the selected Voice, letting you fully concentrate on your performance. Moreover, you can enhance sounds on-the-fly, adding various effects to suit your performance as you play. Comprehensive MIDI controls and powerful Master Keyboard features make it easy to connect and use the instrument with software synthesizers and external MIDI devices. Moreover, the instrument has a built-in USB Audio/MIDI interface for convenient recording functions in home and professional studios, as well as onstage performance power. - Dimensions (W x H x D): 51-1/8" x 5-9/16" x 14-5/16"
Available until 11 PM (EST) today. Mention special code 201-470H when you call.